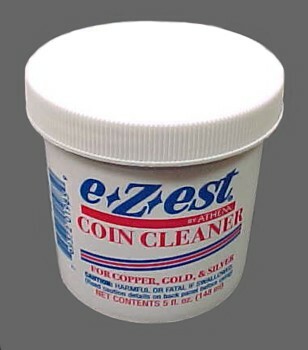 E.z.est Coin Cleaner by Athena Instantly removes tarnish and finger marks from uncirculated and proof coins. Special formula keeps coin bright longer after cleaning. Invaluable to the numismatist. Great For Copper, Gold, Silver.